Breaking the 4-minute mile -- a triumph of human will? Or steroids? Discussion in 'Strength & Conditioning Discussion' started by JosephDredd, Aug 16, 2016. I'm always hearing about how experts always claimed that the human body could never run a mile in 4 minutes, but as soon as one human accomplished it (Roger Bannister, 1954), pretty soon everyone could do it because they knew it was possible. I wonder if what really happened is that those runners discovered steroids. The first modern steroid (synthetic testosterone) was used to build muscle mass in 1938. In 1942, Mexico enters the steroid trade, becoming a huge international player. By 1944, Mexican production meant the price of steroids dropped radically. In 1945 a bestselling book revealed the existence of steroids to the public and athletes/bodybuilders immediately started using. Starting in 1948, chemists started synthesizing over 1000 different types of steroids. It is suspected that Soviets were on steroids in 1952 and in 1954 famous athletes at the York Barbell Club were taking injections, including legendary bodybuilder and strongman John Grimek. The reason I ask this is because I've read in several places that when you strip away the running shoes and modern running surfaces, modern runners aren't running any faster than Jesse Owens. I've read the same about several other sports which utilize hi-tech gear that allow them to set records, including swimmers. Meaning that modern training methods aren't necessarily responsible for the improved performances in many sports. It is very possible to run under 4 min for the mile clean. Science training has improved leaps and bounds in the past centurey over trial and error of training schemes. The growth in human population, the overall biological development of humans and of course the participants in the event draws in even more talent. Before it was just a bunch of white men running around, now you have the world competing where certain ethnic groups have an advantage to specific events. Yes technology was a factor but without proper training they were limited to the talents they posessed more raw talent that was not refined. Dogstarman and Snowfist like this. I wanted it to be about the roids. I read the exact same article last week. Funny universal connections we humans share. I agree with Senri, though. Yea I remembered someone posting this on FB trying to be inspirational. I really wanted to post "It's because of steroids" but I held back and left it a lone. So I think breaking the 4 minute mile is a combination of four things. 1. More people running, higher possibility of one of those people breaking 4 minutes. Back then it was just white guys, now it is athletic and explosive people as well. 2.Training. Building upon the century of so competitive running, we now have better training methods than those before us. 3. Nutrition. Though it may not seem like it, we are eating better than we did 100 years ago. Our knowledge of nutrition is better than it was back then. 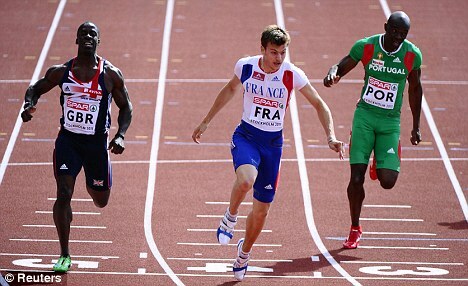 Pretty much the only top flight sprinter with European roots that I can think of now is Lemaitre, who always looks weirdly non-jacked compared to his contemporaries. Apparently the difference between the physiques of marathoners and sprinters is the assistance work, not the running. Is the Internet becoming more obsessed with peds? 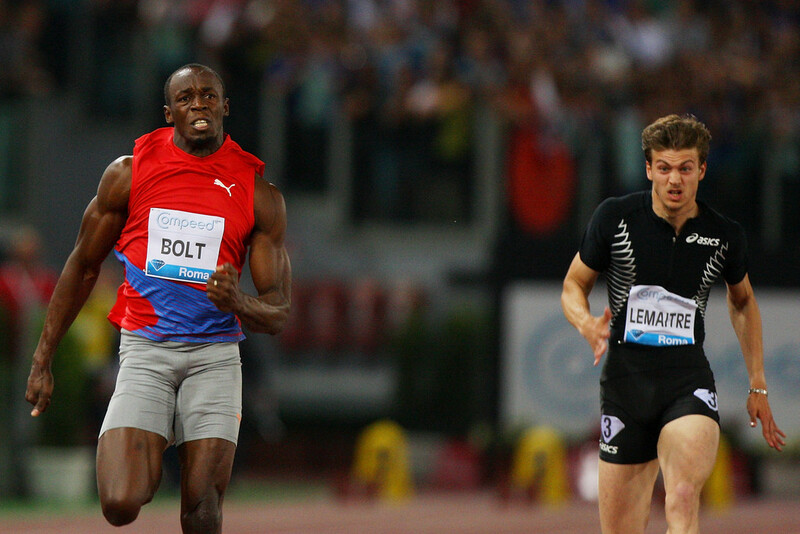 Sprinters tend to be more muscular because the sport is anaerobic in nature. There is very little if any need for oxygen during a sprint. The impact of speed and the ground as you get faster and faster stresses the nervous system as it adapts to run more efficiently. A consequence is power and strength, them yes when doing assistance it makes it easier to get the hypertrophy. Though it's not absolutely necessary to run fast. Makes sense. I just find the contrast between Lemaitre and others interesting, insofar as it seems to indicate that it's not the sprinting itself which builds the so-called sprinter physique. I love a round of hill sprints; don't get me wrong – but Lemaitre seems to indicate that it's not going to do any more for your muscle mass than LISS (in itself) if it's all you're doing. Perhaps its chief benefit is in not eroding gains rather than contributing to them directly? Can you elaborate on this? 100 years ago there were no processed or fast foods. I would never expect us to be eating healthier than them. Do you mean our knowledge of calories/carbs/fats/proteins lets us eat for better results? I understand what you are saying. True, the food 100 years ago was not as processed and fast food wasn't a thing yet, but as an athlete, you now have access to a wider variety of nutritious, possibly enhanced, foods than 100 years ago. Is it necessarily healthier, probably no, does the food have more nutritional benefit that can help an athlete? My answer is yes. We have multi-vitamins tablets/pills that can fill gaps in our daily intake, whey protein that can give you a lot of protein, and more. Your second point is correct also. We know more, and we can build off the knowledge of those who came before us. Perhaps it's chief benefit is in not eroding gains rather than contributing to them? hurdles is all about flexibility and hip mobility, too much muscle restricts your mobility. It's not necessary if the athlete is getting faster for the task at hand. Musccle mass, how the muscle inserts to the bone and bodyfat levels as well as overall distribution throughout the body is genetic. It's not a great indicator the individual will be fast. 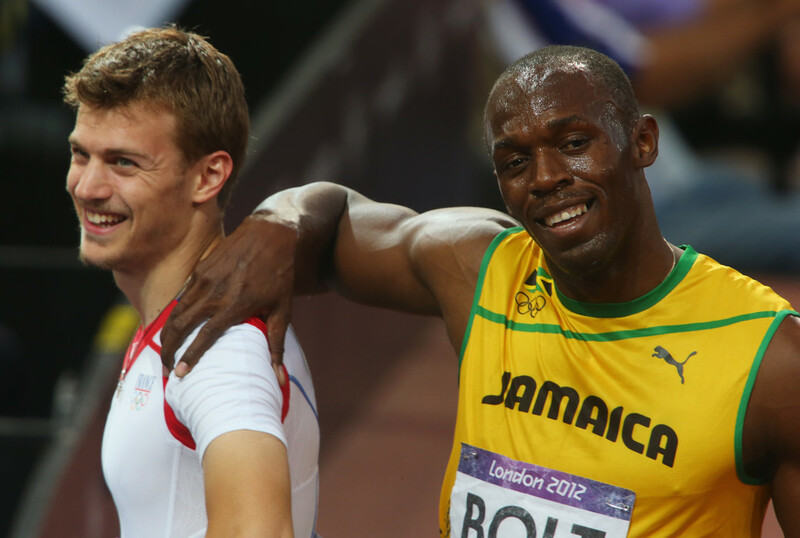 You can show me Bolt being muscular and winning, but i can show you other muscular men running and losing to Andre Degrasse in the same race. Should be noted that Barrister broke the 4min mile with sub optimal training and now many runners can do it. Also Louis Zamperini was conviced that he could have done it if he hadn't been injured in WWII (at 65 years of age he ran his turn at the Olympic torch in 6 min.